Dr. Ismail Elsherif, dentist in Covina, is now offering treatment options for snoring and sleep apnea. Obstructive sleep apnea is a common but serious condition that is characterized by repeated blockages of the airway. These episodes can last 10 seconds or more, and as the blood oxygen levels drop, the brain wakes the body up so that breathing can return to normal. This is usually done subconsciously, so the person with sleep apnea might never realize that he or she woke during the night. However, because the awakenings can occur hundreds of times a night, they can have a disastrous effect on the quality of sleep. 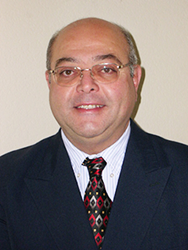 Dr. Ismail Elsherif is offering treatment options for sleep apnea. Dr. Elsherif offers an oral device to treat sleep apnea. First, patients need to be properly diagnosed. This involves a take-home testing device, which can be used in the comfort of the patients' own homes. The testing device records a variety of critical information about their sleeping patterns, and this information is sent to a sleep specialist, who can analyze it and determine the proper diagnosis. Most patients with mild to moderate obstructive sleep apnea can benefit from oral appliance therapy. Dr. Elsherif will customize an oral appliance, which is a device that is similar to a mouth guard. The oral appliance is worn during sleep and helps to keep the airway open for easier breathing and unobstructed airflow. Dr. Elsherif has been certified to provide sleep apnea patients with oral appliances, and these devices are typically covered by Medicare and other insurances. Dr. Elsherif graduated from Cairo University Faculty of Oral and Dental Medicine in 1979. He received a Master’s Degree in Endodontics and a Doctorate Degree in Restorative Dentistry. He is an assistant professor at Loma Linda University and is a member of the San Gabriel Dental Society and the American Dental Association.